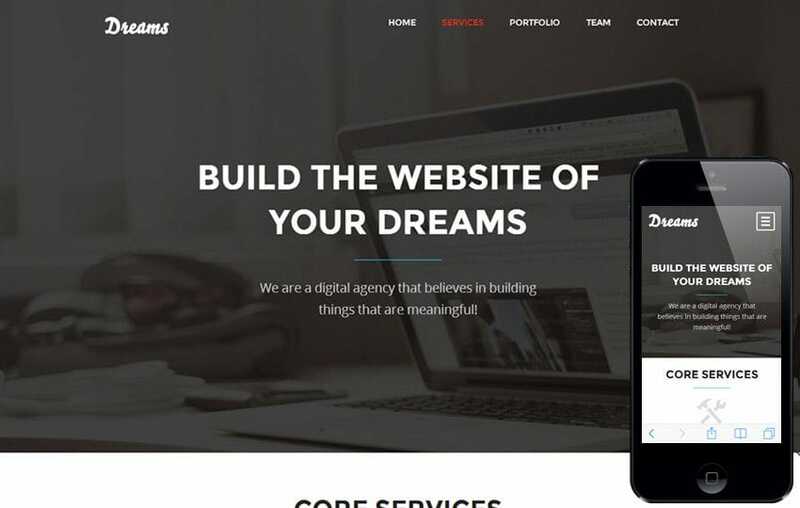 Dreams is a fresh, flat and professional Multipurpose Template for agencies and creative studios. It can be easily customized to suit your wishes. That comes with a complimentary Flat Responsive web design template. You can use this template for any type of websites. This web template is built in a Fancy style however it can be used as per the user requirements. Dreams designed with a clean flat grid system. i do I use Bootstrap to built a website?